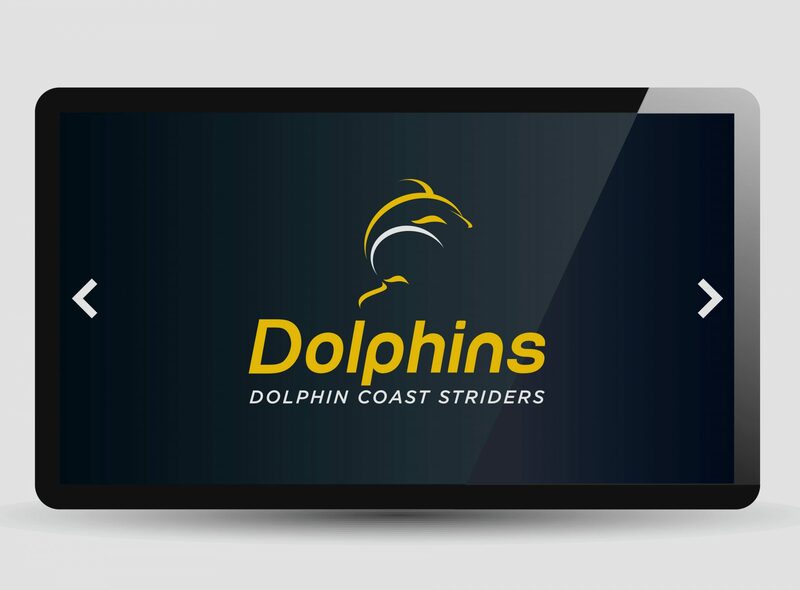 The aim of rebranding the running club was “To position Dolphin Coast Striders as a modern, forward-thinking road running club with structures that support all talent levels and distances and thereby play a meaningful role in the community.” I redesigned the club brand to be a recognisable brand at all sporting events. “Dolphins” (the word and the logo symbol) would become an iconic club brand in running circles. 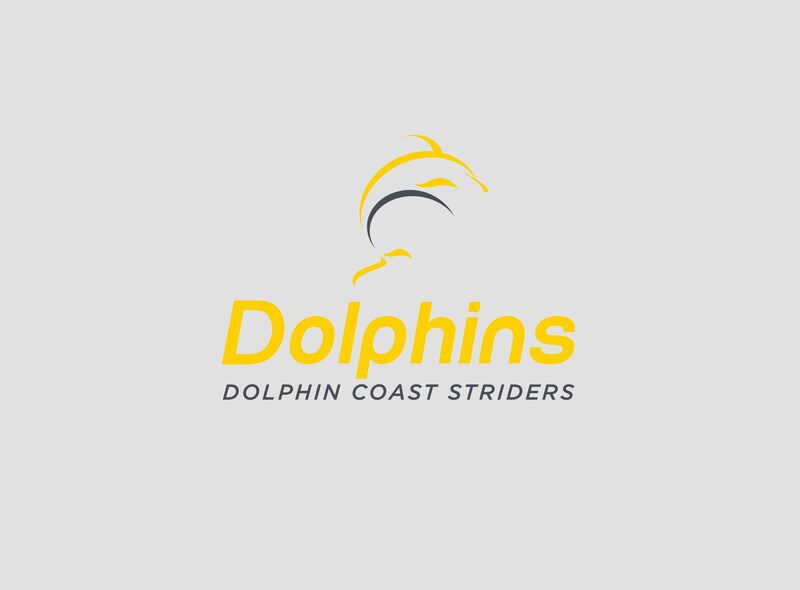 The existing symbol of the dolphin was stylised, simplified and the name replaced with, “Dolphins”. The colours became more prominent; yellow being symbolic of freshness, happiness, positivity, clarity, energy and optimism. 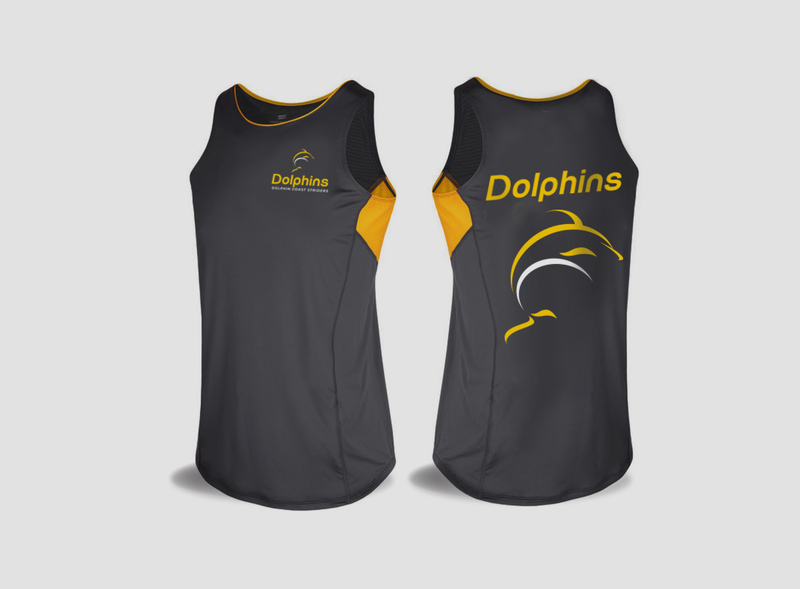 The grey offsets the yellow and provides balance. The brand is designed to work for all media, from digital to clothing to communication materials.